UFR Offers Pick Up and Drop-Off Service for Trucks Needing Service. Let UFR Handle All The Details. 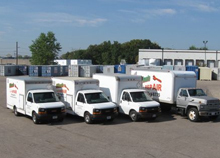 UFR Operates Several Power Units and Offers a Pick Up Service for Trailers Needing Service. Let UFR Handle All The Details. UFR Can Handle All Of Your Fleet and Vehicle Repair Needs! What Are Your Fleet Maintenance Requirements? The importance of having any vehicle regularly maintained by a qualified technician is a known fact. Having a maintenance schedule in place ensures your vehicle is at its’ peak performance and reliability. UFR provides superior maintenance service which helps keep fleet vehicles running efficiently, reduces fuel costs and mechanical failures. Ultimate Fleet Repair guarantees customer satisfaction! UFR takes pride in providing the best service and having the most experienced technicians in the industry. UFR can come to you with a fully equipped mobile repair service van. UFR’s Service Vehicles Are Equipped to Manage Repairs from Class 8 Semi Tractors & Trailers, to Dock Trucks and Passenger Vehicles. Ultimate Fleet Repair guarantees customer satisfaction! UFR takes pride in providing the very best service and having the most qualified technicians in the industry. Whether you are bringing in a Dodge Sprinter or a Freightliner semi-truck, our staff is well versed on all makes and models and will take care of your repair needs. We have technicians that came from car dealerships, trucking companies, fleet repair shops, and even the airlines. We can cover everything and that’s our personal guarantee! UFR’s Certified technicians are available to repair / service any Sprinter, ProMaster or Ford Transit vans in our full service repair shop. No matter what the situation, give UFR a call. If you are looking for expert Transporter repair/service, contact us at UFR! UFR has trained Sprinter repair technicians on hand with experience repairing cargo vans, mobile work vans to camper vans. We’re local – in Eagan – call or stop by. Brands include: Ford, Volvo, Dodge, Chevrolet, Detroit Diesel, Caterpillar, INTERNATIONAL, Freightliner, Great Dane, Capacity, Workhorse, Isuzu Truck, Sprinter, Cummins, Mitsubishi Fuso, Utilimaster, Sterling Trucks, and Western Star. 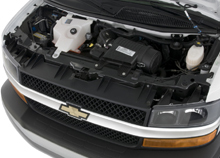 Does your Fleet Vehicle need Scheduled Maintenance or a Repair? Contact Our Qualified Fleet Service Team Today! 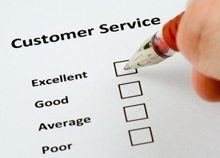 All of us at Ultimate Fleet Repair Guarantees customer satisfaction! We pride ourselves on providing the very best service and having the most qualified staff of technicians in the industry.